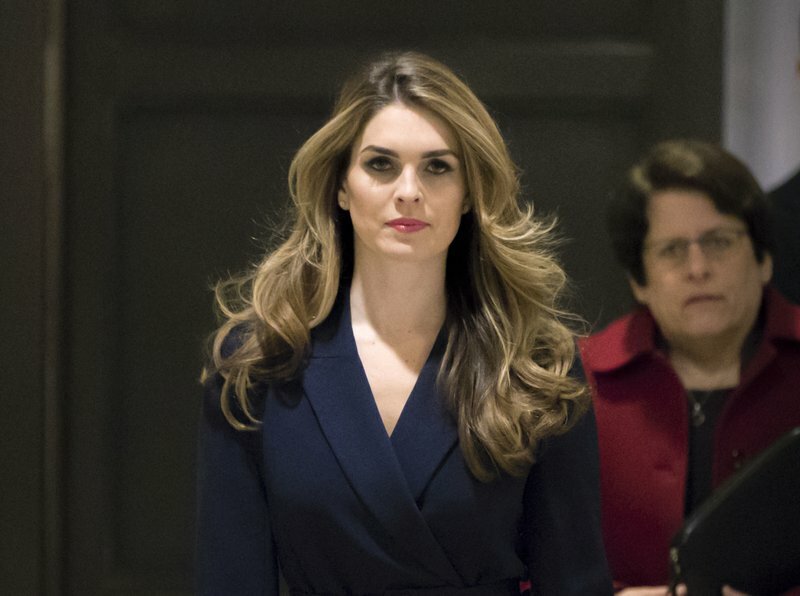 Former White House communications director Hope Hicks has agreed to turn over documents requested by the House Judiciary Committee as part of its investigation into whether President Trump and his administration have undermined the rule of law, a committee aide said Wednesday. American Media, Inc., the parent company of The National Enquirer, has also agreed to turn over documents to the committee, a spokesperson confirmed. AMI was part of a “catch and kill” scheme during the 2016 campaign to pay off women who said they had affairs with Mr. Trump. CNN first reported Hicks intended to cooperate with the committee. Hicks was one of Mr. Trump’s closest confidants on the campaign trail and during her time in the White House. She left the administration in March 2018. Two weeks ago, the committee sent letters to 81 individuals and organizations, asking them to submit documents relevant to the its investigation into “public corruption, obstruction of justice, and abuse of power by President Trump, his associates, and members of his Administration.” The panel asked recipients to respond to the requests by March 18. Earlier this week, the committee’s Democratic chairman, Rep. Jerry Nadler of New York, said he had heard from “a large number” of the those who received document requests and said the committee had received tens of thousands of pages. He added that committee investigators are in contact with others on their list who have said they would be more comfortable responding to a subpoena, rather than a voluntary request. Nadler’s Republican counterpart, ranking member Rep. Doug Collins of Georgia, said on Twitter yesterday that the committee had only received 8,000 documents. Since he took the gavel in January, Nadler’s powerful committee has launched sweeping probes examining the ouster of former FBI director James Comey, former national security adviser Michael Flynn’s false statements to federal investigators, Mr. Trump’s involvement in payments to silence women who alleged to have extramarital affairs with him and plans to build a “Trump Tower” in Moscow. Hicks testified before lawmakers in a close-door House Intelligence Committee hearing last year, when the Republicans controlled the panel.